by Micro Capillary Tubes, the BEKA - KaRo SYSTEM. If you click in any of the underscored words below, menus will pop up with additional information. Menus on green background will redirect you to reputable scientific sources with pertinent information we do not need to repeat. Menus on red background will direct you to information provided by us. All information is related to radiant cooling and radiant heating. This website contains information for engineers, builders, architects and the general public as end users and beneficiaries, pertaining to a different air conditioning protocol for North America. Did you know that we all radiate heat and because of that we all "glow" not only "in the dark" but also "in the light?" This would be only if we could see infrared radiation ("homeotherms"). However we do emit infrared electromagnetic energy all the time. BEKA USA's Radiant Cooling and Radiant Heating by Micro Capillary Tubes (KaRo) takes advantage of this biological fact thus making it the first biologically compatible natural air conditioning system. Radiant cooling and radiant heating with a Dedicated Outdoor Air System (DOAS) is a NEW PROTOCOL to Heating, Ventilation and Air Conditioning (HVAC). Radiant cooling and radiant heating is the first air-conditioning system that takes human comfort as the target. It is a system that has been perfectly tamed and implemented; a system that was not created to solve the "paper's humidity problem" experienced by Sackett-Wilhelms Lithographing and Publishing Company (Brooklyn, NY). This company had been plagued by paper humidity problems until Willis Carrier, officially on July 17 1902, solved this problem by inventing what we know today as air conditioning. The BEKA (KaRo) system IS the ideal solution for the 21st CENTURY. The ancient Romans used radiant heating during winter (hypocaust is an ancient Roman system of central heating) about 300 years BEFORE Jesus Christ. Natives in the Middle East, since time immemorial, used water to attract the heat radiating from their bodies and environment. Now, in the 21st century, we have both principles working together in the same installation. The BEKA - KaRo system uses nature's principle that water transports heat energy more efficiently than air. We need 3840 cubic feet of air to move the same heat energy that 1 cubic feet of water will move. Today's industrial, commercial and residential indoor dwellings need to keep the indoors cooler in summer but not-so-cool in winter for human comfort. The ideal situation is to keep the same temperature all year round TOGETHER with a good Indoor Air Quality (IAQ). Radiant cooling and radiant heating has such an extensive endorsement from the US scientific community (see Dedicated Outdoor Air System DOAS's link above) that in this web site we can only refer to some of the freely available documentation, from respected sources, via Internet. At BEKA USA we bring the soundest approach to take advantage of the increased efficiency of the radiant cooling and radiant heating system in the most economical manner. Some twenty years ago in Germany, KaRo grabbed the old "radiant cooling" flag and ran with it. The Europeans can now brag about "breaking away" from the old American master, the all-air HVAC, and having a better system. BEKA USA is now bringing the wholly KaRo German developed and tested system to North America. Europe has installed over 20 million ft2 of these systems including the Samsung Corporation in Berlin. In 1997, the company demanded that the whole building they were going to lease be retrofitted with micro capillary tubes before renting it for their administrative offices. Approximately 56,000 ft2 of active mats were used to retrofit the building in just 4 weeks. Corporations, industrial, commercial and residential European building owners as well as long-term leasing tenants are demanding radiant cooling and radiant heating "or else". This technology is not just for new buildings but for retrofitting existing buildings as well. These "or else" demands together with the very high energy costs in the European market gave the European building industry and their professionals a bold incentive to use radiant cooling and radiant heating. This trend is rapidly expanding throughout Europe putting them ahead of the US in cooling and heating technology for human comfort. Radiant cooling is now considered the "default" AC system in Germany. The US can easily catch up since the technology is now here and fully available. All it is needed for radiant cooling/heating to become the new default in North America is for the industrial, commercial, schools, offices or residential dwellers to research and determine the importance of "radiant cooling and radiant heating". It is easy, just contact us. 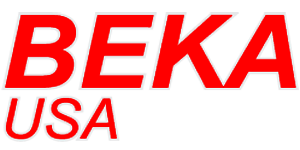 © 2006-2011 BEKA USA. All Rights Reserved. If a link is broken or no longer working, please let us know.